The Natural Resources and Environment Committee of the National Council recommended the government put effective measures to protect prime agricultural land from being lost to urbanisation. In a discussion yesterday, some members of the National Council said rapid development and urbanization have put a lot of pressure on agricultural land. From 1998-2008, about 2000 acres of agricultural land was lost to non-agricultural purposes. It is likely to increase in the future with increased development activities. 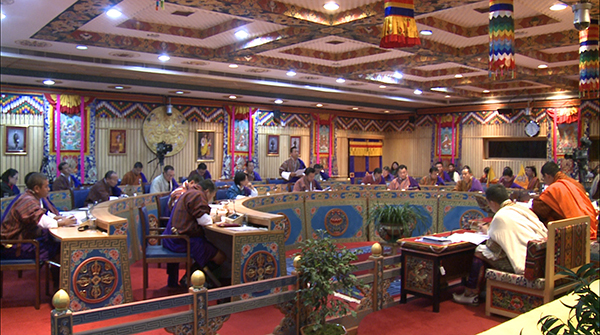 “The fertile land of Kuruthang, Bajothang, Olakha and Babesa areas were turned into big towns. This has greatly affected our goal of food self-sufficiency. If the Government protects the fertile areas, I feel that most of the food can be produced within the country,” said Thimphu’s NC MP, Nima Gyeltshen. The committee also reported that majority of the arable lands are now being used to produce Hazelnuts and cardamom since the income generation is high. This might lead to the shortage of rice production leading to more import of rice, they say. “People are only allowed to use fallow lands for the production of Hazelnut and Cardamom. People intentionally leave their land fallow for a few years and then plant Hazelnut and Cardamom. If they continue doing so, it will affect the self-sufficiency of food and we will also lose all fertile land,” said Monggar NC MP, Sonam Wangchuk. The committee said the Government needs to look into the urban development plans and come up with a proper policy which will also protect the fertile land along with the town development.